Arrive into Christchurch and transfer to your hotel – the remainder of the day can be spent at leisure. This is the largest city on the South Island and has a great mix of traditional and contemporary elements to explore. 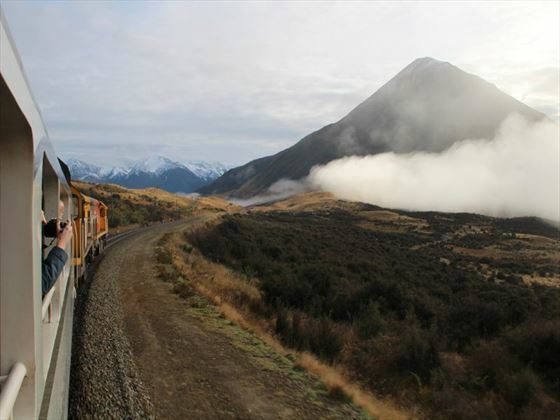 Today provides a really special journey through the Canterbury Plains and across the Southern Alps aboard the TranzAlpine train. This is one of the most spectacular train journeys in the world and the scenery you’ll see along the way instantly shows you why. Disembark at Arthur’s Pass and travel by coach to Hokitika where you’ll have the opportunity to see pounamu (jade) being carved into jewellery. From here, continue on to Franz Josef where you’ll be able to explore the icy terrain before a delicious four-course dinner in the evening. 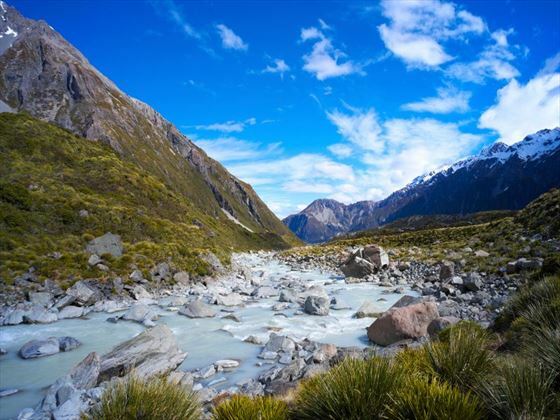 Journey along the Haast River and admire the sensational scenery along the way of towering peaks, rushing waterfalls and crystal-clear rivers. Arrive in Queenstown and relax before choosing from four options for your evening meal. Perhaps dine at a charming waterside Finz seafood restaurant, board a scenic gondola ride to the Skyline Restaurant, take a cruise on the vintage TSS Earnslaw or enjoy a stylish meal at the chic Elements Restaurant. 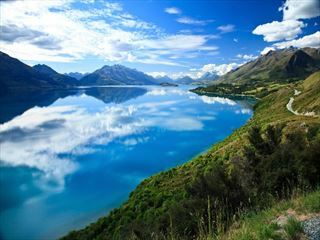 Queenstown is a varied destination, with a range of sightseeing options to take advantage of. Today you have a choice of activities to pick from including a jet boat ride on the Shotover River, a Safari of the Scenes Tour, a wine tour or a relaxed Lakeshore Forest and Bird walk. 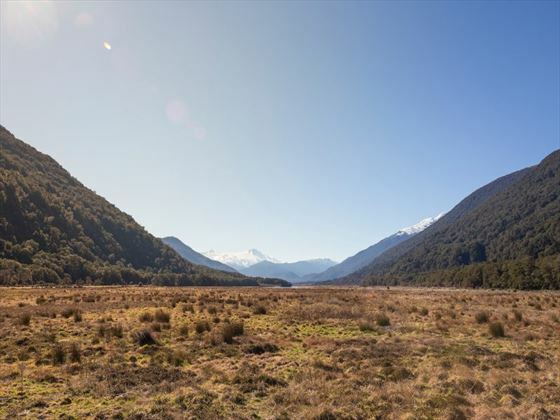 Travel along the picturesque Milford Road as it winds down the Eglinton and Hollyford valleys, through Home Tunnel. 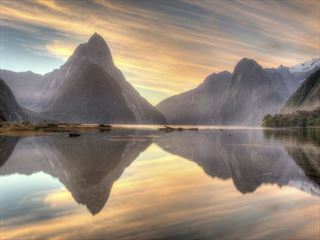 Upon arrival at Milford Sound, step aboard a cruise ship and venture out onto the waters for a memorable cruise that is sure to be one of the highlights of your trip. 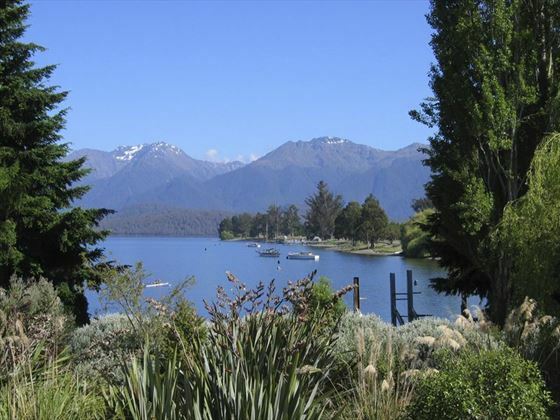 Afterwards, travel to the lakeside town of Te Anau for your evening meal – a delectable Taste of Fiordland dinner. Make your way to Dunedin this morning via Lumsden and Gore. 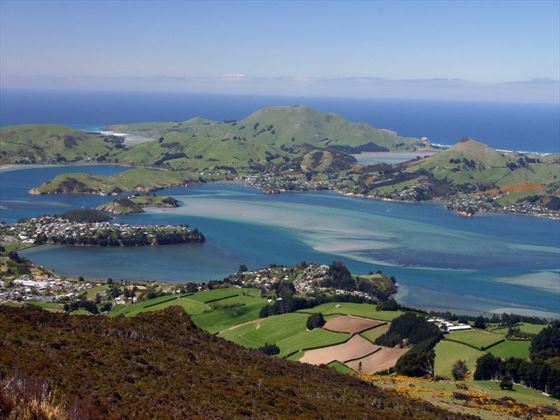 This area is referred to as the Edinburgh of the south and was once the largest city in New Zealand. In the afternoon, you can choose your activity for the remainder of the day. Tour Larnach Castle, visit Olveston House or visit the stunning railway station and board the Taieri Gorge Railway. 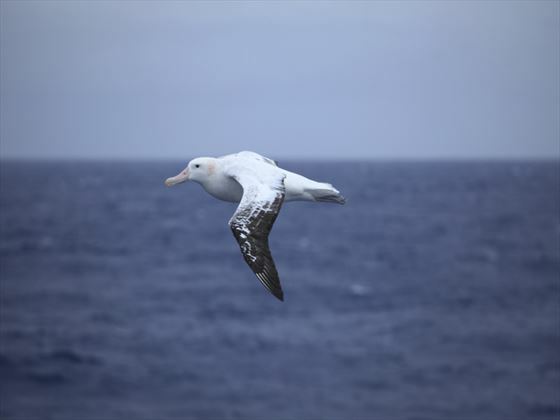 You may prefer a tour of Speight’s Brewery, or nature lover might like to visit the albatross colony, see the penguins or take an off-road tour to the Otago Peninsula. After breakfast, you’ll enter Mt Cook National Park to explore the highest peak in Australasia – referred to as Aoraki in Maori. 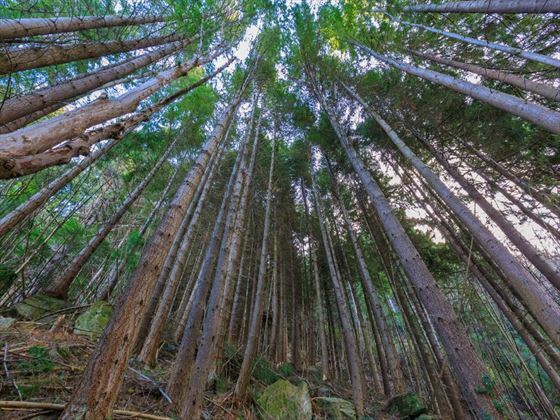 There are some great activities to choose from today, including a visit to the fascinating Sir Edmund Hillary Alpine Center, a guided nature walk of the park or joining an expert astronomer in the evening in the world’s largest Dark Sky Reserve. 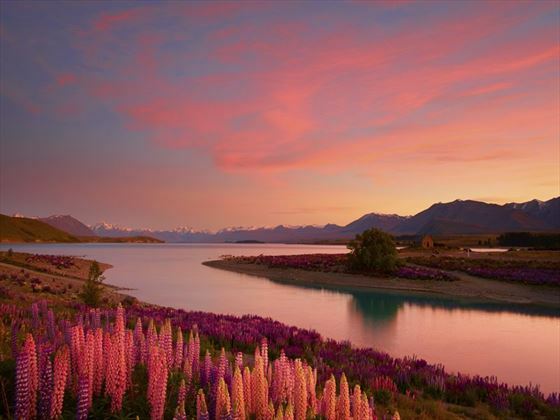 Leave Mt Cook in the morning and travel to Lake Tekapo to visit the Church of the Good Shepherd – a tribute to the early pioneers of this region. 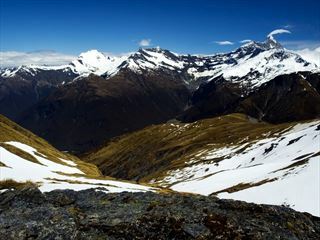 Continue through Canterbury and absorb the beautiful vistas of Burkes Pass as you make your way back to Christchurch. In the evening, enjoy a farewell dinner with your group. Make your way to the airport for your departing flight. 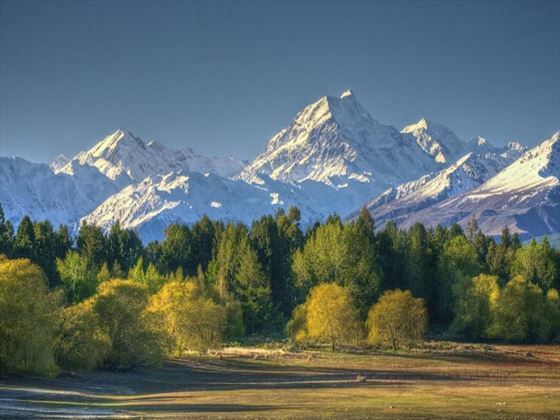 A 14-day guided tour through the cultural and scenic highlights of New Zealand, including Milford Sound, Te Anau, Franz Josef Glacier and Christchurch.